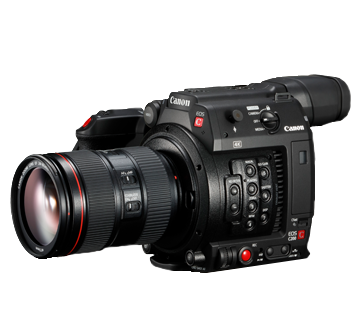 India, September 27, 2018: Canon India, one of the leaders in the imaging space, is committed to march on with its pursuit of strengthening the imaging culture in the country. As an outreach to nurture and enhance the passion for cinematography among aspiring film makers, the organization today announced its latest inititiative ‘Streaming Frames’. A unique series of extensive on shoot training by professional filmmakers and industry experts, Streaming Frames is a programme aimed at the selection and training of 100 aspiring film makers live on field projects, spread across India on professional cinematography workflows for WEB as a platform. Streaming Frames is boarded along with leading cinematography/film making technology experts: Dell for Professional Precision 5530 Mobile workstations series which are ideal for handling complex 4K footages on field, Intel with their 8th Generation Intel® Core ™ i7 processors, Adobe with their Creative Cloud Post Production Solutions, DCP Expeditions – Organizers of Streaming Frames and well networked across with photography & cinematography professionals and enthusiasts. The short films along with the BTS ( Behind the scenes) will be viral across all social media platforms – Canon and External both. All the participants and the alliances companies – Dell, Adobe, Intel, DCP Expeditions & Bedi Universal will also be promoting the content.